Come make your special someone swoon this Valentine's Day at Golden Fleece. Thursday, February 14th from 5:00pm - 9:00pm we'll be serving up our signature Greek flavors along with some lovely sweetheart specials! 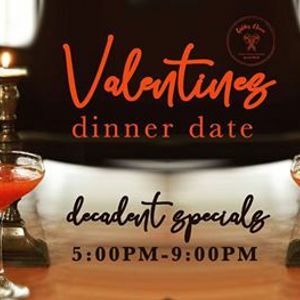 Enjoy a decadent meal, as well as Valentine's Day cocktails, and new desserts all in the seductively romantic setting of our cozy main dining room. Reservations are recommended for this special dinner service. Please call the restaurant at (828) 424-7655 or follow the link below to save your seats.